In the web world, it has been said that the Content is the main aspect that increases traffic and generate leads, but according to some research, the Design of a website plays a huge role in influencing the visitors towards a website. But, it doesn’t mean that the quality of content is not significant. It is also important to add a fresh, unique, engaging and high-quality content on a website, but if your design is tame, then most of the visitors don’t even stay on your site to read the content. Therefore, in this blog post, we will explore some of the handy tips that can help in making your website visually appealing and inviting. If you are new to WordPress and don’t know much about technical aspect or coding, then you can pick out a theme that can offer you multiple design options. However, it is not necessarily that all the WordPress themes offer you the customization options. As many of the themes require coding if you want to make changes in it. 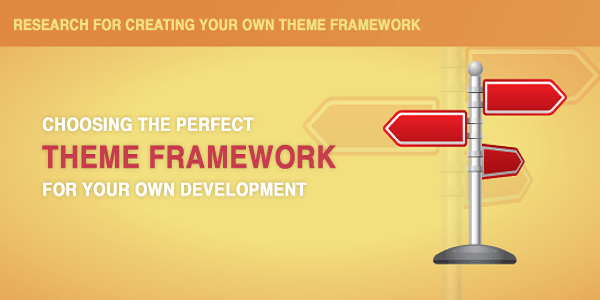 Well, there are many themes that allow users to customize the design of a website, without the use of any coding. Some of the outstanding themes are Headway, Make and Total that allows you to customize the look and design of a website, without even writing a single piece of code. With the help of page builder, you can build any layout, and can use other options that are built into each module to personalize page elements. However, there are various themes like Total that are easy to use theme for most of the users who have basic knowledge about WordPress. But if you are a completely new WordPress user, then you might find it tricky. In such a situation, it would be better for you to use a theme that comes with fewer customization options. With such themes, you can change the color, sizes, fonts and general layout of the pages to make your site more appealing and engaging. However, it won’t give you the flexibility to make additional changes in your site as per your needs. So, if you know more about WordPress, you should opt for a theme that can offer you some advanced customization options to give you more control over your design. But in case you are completely new, then you can go for simple and user-friendly WordPress theme that offers a few and basic customization options. Another exceptional way of making a WordPress site unique from others particularly those who are using the same theme is done by using a striking logo instead of the simple headline text + font. In fact, you can also create a logo by your own if you don’t want to afford a professional designer. However, it is simple to create a stunning and professional looking logo but you need to carefully choose the fonts and colors that can easily blend with your site’s design. Well, there are numerous places where you can get an affordable and high-quality logo. One of the popular bootstrap-budget options is Fiverr. It is a famous online marketplace offering various tasks and services. Here, you can get a gorgeous logo but for that you need to hire a professional designer who can design a logo for you. If you want to hire a professional web designer, you need to do a lot of research work and find out the most compatible designer who can deliver you the beautifully-designed logo. Although, many users avoid hiring a designer as it consumes a lot of time to find a professional and trustable web designer. Perhaps, another excellent alternative is 99 Designs where you don’t need to hire a design and then he/she designs a logo for you. Here, you can choose the most suitable design that can enhance your site as well as your brand image. You can use a page builder because it allows you to change the overall look and feel of a website in order to give a pleasing experience to potential visitors. Select the most compatible and page builder plugin that can help you create a custom homepage. Page builders usually make the procedure of crafting a custom site manageable for WP users who don’t have any technical knowledge. And, Visual Composer is one of the most reliable page builder plugins as it enables you to create pages on the front-end, so that you can view your page on your website live when you are creating it. Change the look and feel of your WordPress site by putting fundamental visual elements in the sidebar. It can be beautiful mini-banners, or a simple and elegant widget plugins that can fit perfectly with your website’s design. You can also visit the WordPress.org plugin repository where you can find thousands of amazing free widget plugins that you can use to enhance the look and design of your website. Many of the WordPress themes are offering the option to remove the sidebars in order to make a full-width website. You can easily remove the sidebars from your website as it is as simple as clicking an icon. It completely depends on a theme that comes with some layout options. If you want to change the font style of your website, then you will require a few lines of coding. 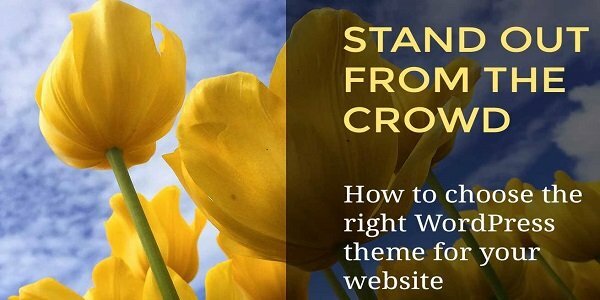 In case your theme allows it, and you already have an ample range of fonts to select from, then you can cherry pick the most suitable one that can enhance the design of your site. And if you theme doesn’t provide inbuilt font options, you can install the WP Google Fonts free WordPress plugin that offers more than 670 custom Google fonts to choose from. An incredible way to create an outstanding website is by changing the color scheme of a website’s design. By doing this, you can completely change the overall look and feel of your site instantly. In fact, many of the themes offer inbuilt custom color options, color skins in the Theme Customizer. If you don’t want to customize by your own, then you can also use a tweak your theme colors plugin. Decrease the height of your header to showcase your key content. Or can change the width of your sidebar to make the site more engaging. Plus, you can shift the elements around with ease to add whitespace wherever you required, or re-arrange the elements of page with the help of page builder. In this blog post, we have discussed the easy-to-follow tips that can help you make your site outstanding and visually appealing. By following these tips, you can enhance the design of your site because it helps in driving more visitors that in turn generate leads and increases productivity.